How to Promote Your Blog – There are thousands of blogs. We are familiar with many blog sites and Google blog. Out of aspiration, many people write blogs. But only a few are noticed, followed and thoroughly read. The reasons are too many. Only effective Digital Marketing blogs can bring blogs to the attention span of the desired audience. That leads to the question of how to promote your blog. There are many ways to promote blog posts. Some of them are discussed here. Having a simple yet single text file a pool of with information reusable on several platforms is essential to speed up the promotion process. Write out 3-5 headline variations for your post. Write as many short social messages for use on Twitter. It may be quotes or snippets of headline variations. Create several slightly longer social messages on LinkedIn and Facebook. When you mention a person or brand in the post, include contact info – Twitter account, email address. Also, inform that they have been mentioned. UTM tracking URL’s: Use Google’s Campaign URL Builder to create tracking links for all platforms where the post is promoted. That makes tracking of traffic easy and accurate. In order to advertise your blog and make people talk about it, use e-mail marketing to reach subscribers to start driving traffic to the latest blog post. Also ask the audience to comment, like, and share it with their community to reach a wider circle of people. Any subscriber will share content with their followers. Adding link of the latest blog post in email signature is a subtle way to promote your content or how to promote your blog. Try WiseStamp for a professional email signature that can link to social profiles and blog posts. Also request contacts such as friends, family, etc to share your latest blog post. Regarding how to promote your blog post sharing content on social media boosts visibility, and gets huge traffic and a good number of shares. But sustained results will come only when the process is backed by an effective social media marketing strategy. The important part is choosing the most relevant social network for the blog. Engage with people on platforms such as influencers and brand managers. Joining social groups will help to grow social media reach. A regular presence on social networks and posting content consistently is the key to social media leveraging. At the same time, respect the social media’s power as a two-way channel by engaging with other people’s content by way of liking and sharing. 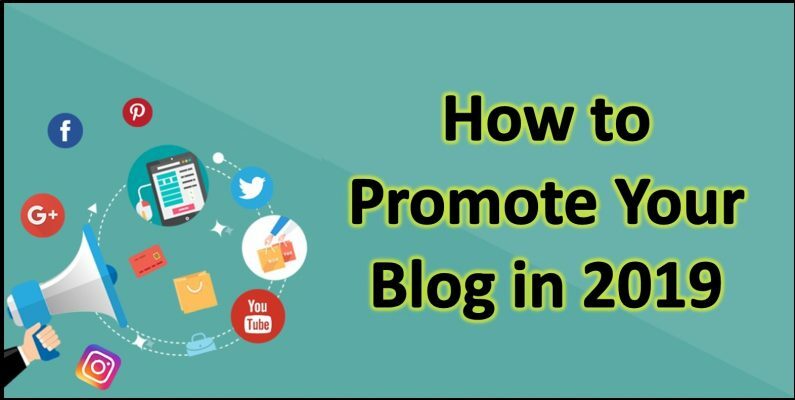 Regarding how to promote your blog for free go for tools like Blog2Social and Sendible that can customize posts per network in terms of long or short message, hashtags or mentions, and images. Reciprocal sharing helps to earn ‘credits’ for sharing other people’s content, which allows posting your content to be shared by others. Triberr is a powerful way to promote a blog. Each blog posts can be imported automatically (via RSS). There is the option to add your featured blog post image to make a post stand out in the stream. Engaged your tribemates and keep sharing their content. Viral Content Bee (formerly viral content buzz) is good for bloggers to promote content on Twitter, Facebook, and Pinterest. After earning credits by sharing other people’s content, ones’ own post can be promoted. Social bookmarking sites help users to post their favorite stories, images, and videos. Most of them have a voting system where ‘upvote’ on favorite posts will increase their exposure. There is Reddit, Flipboard that is more of a social magazine-style app than a traditional bookmarking site. Digg is a top bookmarking site where a blog post can be shared and upvoted. Sharing content in niche-specific sites will increase shares and traffic because content gets the right audience. A few examples are here. There are many milestones to cross in the successful marketing of blogs. The pre-promotion steps include site optimization, hosting, speed, security, theme, and plugins matter a lot. 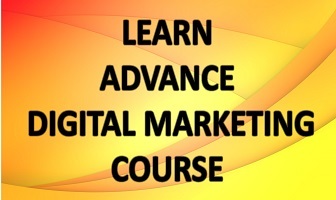 Pre-promotion entails grooming the website and content in the best condition to succeed. In this, elements that require a WordPress site to run smoothly are addressed. This makes user experience is improved and better ranking is ensured. This process is vital for search engines to index a site. A slow loading website is hated by all users. Google also rewards fast loading sites. Explore free speed enhancing plugins for WordPress and choose the best one that suits you. Caching helps speed up a WordPress site and boost performance. Here we will share the best WordPress caching plugins for your site. Caching allows WordPress site to skip a lot of steps. Instead of doing the whole page generation process every time, caching plugin makes a copy of the page after the first load and offers that cached version to every subsequent user. Best WordPress caching plugins that you can use to boost your website speed. WP Rocket is one of the best WordPress caching plugin as it is a very beginner-friendly caching plugin. Other plugins are W3 Total Cache, WP Super Cache, Sucuri Firewall, Built-in Cache Plugins from Hosting, SG SuperCacher, WP Engine Caching, and Bluehost Caching. WordPress offers thousands of themes. Always chose a mobile-friendly theme matching the aims of the blog in terms of good looks and faster loading. A blog needs to be visible for turning successful. That happens when Google and other search engines crawl and index a site via a Robots.txt file. Create own or use an SEO plugin for WordPress. Using WordPress SEO plugins can improve the SEO of your website. Some of the popular SEO plugins are WordPress SEO by Yoasti as a comprehensive solution for all your on-site SEO needs. It allows adding SEO title, meta description, and meta keywords to each post and site pages. Include links to relevant pages from other sites. Use high-quality, authoritative pages you researched for writing, link to them. Many internal and external links don’t last forever as URLs change, content gets moved and sites vanish. Fixing broken links is a must. Analytics Tools are a must to understand how people are interacting with the blog. Prior to promoting content, to know which content is most popular and what promotion method is getting visitors to your site. Google Analytics is good in tracking website data. These steps will cumulatively address the paradigm-how to promote your blog.